Mill Creek Environmental (MCE) is your experienced asbestos inspection and testing company. We take pride in offering practical solutions to your environmental issues. MCE will work with you to assess what level of asbestos inspection and testing services are needed for your specific property. Inspections can range from a quick visual inspection to detailed sampling and testing programs. The type of asbestos inspection needed is dependent on your purpose and the type of facility. MCE’s staff are trained and licensed to serve your needs in professional asbestos testing! 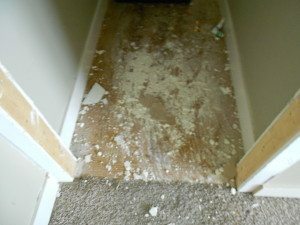 Mill Creek Environmental can conduct a limited inspection that offers the property owner a yes or no answer concerning asbestos containing materials in limited locations of the property. A Limited Asbestos Survey is cost effective and the results can be received quickly with little damage to the property. With this type of survey a more in depth site assessment is conducted of the area proposed for renovation or remodel. Sampling of potential asbestos containing materials (PACM) per EPA Renovation and Remodeling Program (RRP) rules is performed within all areas that may be disturbed during the project. A more detailed report containing the estimated quantities of any asbestos containing materials is provided. The benefits to this type of survey are that it fulfills the EPD requirements and allows the property owner to estimate any additional costs that may be incurred during the project from the abatement and disposal of asbestos containing materials. An Operations and Maintenance Asbestos Survey includes a visual assessment of the property in its entirety for any potential asbestos containing materials, a comprehensive sampling plan, and a report detailing the present and potential future condition of any found asbestos containing materials (ACMs) as well as the documentation of location and quantities of the found ACMs. Mill Creek Environmental also offers an Asbestos Condition Inspection for property owners who already have an O&M plan in place, but may need a re-evaluation of ACM conditions to meet state or federal guidelines. 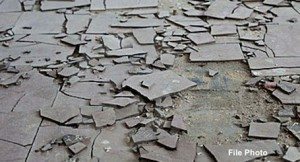 The Demolition Asbestos Survey is more in depth and provides more information than a limited survey. Mill Creek Environmental will review any previous reports, building plans, and conduct a visual assessment of the property in its entirety for any potential asbestos containing materials to establish a detailed sampling plan. A detailed report with results, quantities, locations, and conditions will be provided along with adjacent property information, for risk assessment. Our staff will review your property information and discuss your needs prior to making a recommendation on the best way to proceed. This will ensure that the often complex task of a thorough asbestos inspection is handled in accordance with all AHERA, NESHAP, and OSHA regulations and with as little disturbance as possible to your business or home life and your wallet. Call us for a no obligation cost estimate. Mill Creek Environmental works with accredited laboratories that use the EPA approved, Polarized Light Microscopy (PLM), method to analyze the samples. Mill Creek Environmental also performs routine (QA) quality assurance testing to ensure accurate results.